Pesto Marinated Grilled Salmon over a bed of Roasted Potatoes, Sauteed Kale, Heirloom Tomatoes and Garlic. Finished with a drizzle of Olive Oil and topped with Parmesan Cheese!!! Happy Father's Day June 17, 2018! Hearts of Palm Spinach Salad- Fresh Strawberries, Candied Walnuts, Fresh Spinach, Hearts of Palm and Goat Cheese tossed in Poppy Dressing! Yum!!! 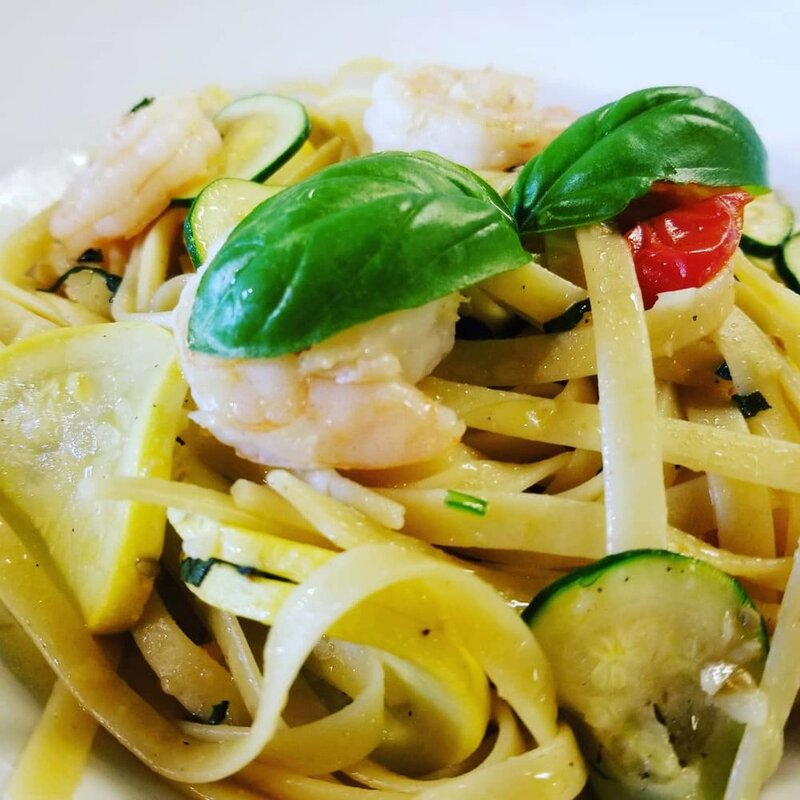 Summer Fettuccine Primavera with House-made Fettuccine Pasta, Shrimp, Yellow Squash, Zucchini, Heirloom Tomatoes and Asparagus. Finished with a Drizzle of Garlic Olive Oil! 4 oz Steak with House-Made Fettuccine Pasta, Heirloom Tomatoes, Mushrooms, Spinach, Alfredo Sauce topped with Gorgonzola Cheese and Drizzled with Balsamic Glaze!!! Yum! *Toscano requires a credit card in order to make this reservation. Toscano reserves the right to charge a cancellation fee. Thank you and we look forward to a great evening!